Stability of virtual machine is extremely necessary for the maintenance of VHD files. If we ignore the early signs of virtual machine failure, we may consequently lose our critical VHD files. 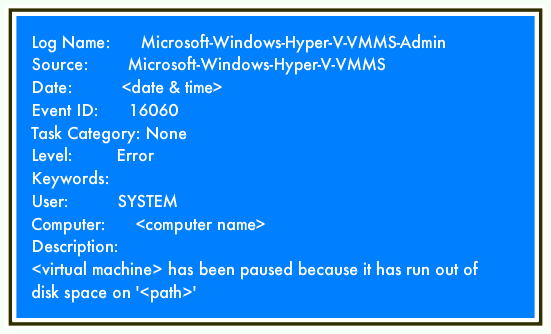 One of the most commonly observed errors is the paused state of the virtual machines. User must take immediate action against this issue in order to avoid the disastrous consequences. Here in this blog, various reasons behind this paused condition of virtual machines along with remedies has been explained. When the Cluster Shared Volume on which the Virtual Machines are configured runs out of space, it leads a paused state. The obvious solution this issue is to free the disk space on the virtual hard drives. Also, you can think of moving the VHD files to a different location. User must check the relationship status of the virtual hard disk before dismounting the VHD files. In case there are other issues related to VHD files or if they have become inaccessible, then try Kernel for VHD Recovery tool to fix those issues and access your VHD files easily.